We have helped many customers lately to implement secure shredding solutions for corporate servers. It could be related to a PCI certification process or just tougher internal policies. 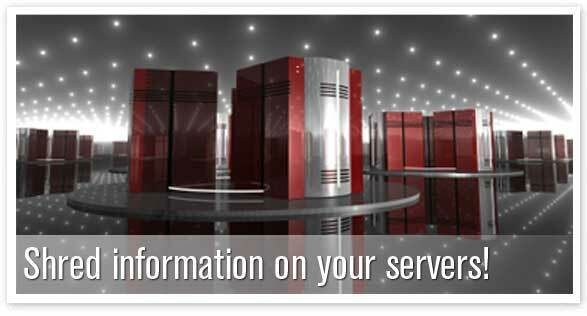 Policies demanding full control over information saved on file servers or transaction servers for example. With a few easy steps it is possible to schedule automated shredding routines of selected files and folders in a network. The administrator has full control over the shredding operations and digitally signed log files are created to document what is done. All standards and recommended shredding methods in the market are supported and the result is better information discipline to prevent data leaks and attacks. If you or your organization have an interest in this, please click the button below to request free case studies and advice from a product specialist.